There's absolutely no doubt that the manufacturing sector in the U.S. is in better shape than it has been in quite some time. 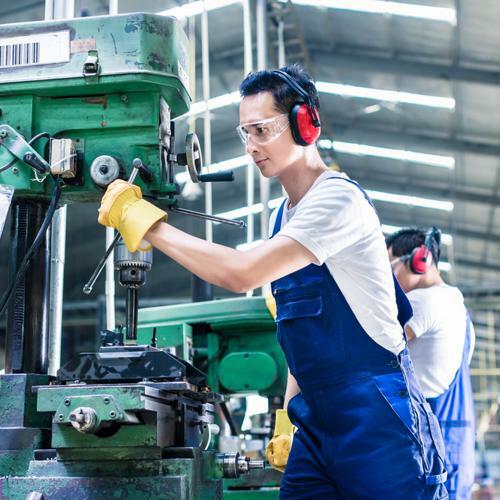 According to the Labor Department's Bureau of Labor Statistics, the industry's businesses added 13,000 new jobs to their payrolls during January 2019, in continuation of a trend that showed remarkable persistence over the past several months. In fact, aside from a few isolated months of decline or no statistically significant positive or negative growth, manufacturing employment has been on the rise for well over a year. Other indicators, like the Institute for Supply Management's Purchasing Managers Index and production measurements, have also been trending in the right direction for quite a while. In a sense, manufacturing is one of the world's oldest professions – but for the sector to continue finding success at such an estimable rate, it must embrace new methods of production and operation, particularly throughout the IT infrastructure of firms within the industry. More than a few of the nation's manufacturing companies may have not yet enacted a policy of legacy modernization for their operational hardware of software, and consensus among many voices in the industry finds that a continued reluctance to do so may end up being problematic in the long run. Taking the opposite tack and embracing new tech, by contrast, could be just the ticket to help build on the successes being seen in other categories of the sector's development. In a sector such as manufacturing, it's understandable – on a broad scale, at least – why companies might have outdated tech in large swaths of their IT infrastructure, 2019 or no 2019. An automobile manufacturing plant, for example, relies considerably on assembly-line robots for fabrication tasks that would be dangerous to humans, and the machinery directly involved in various steps of the building process are quite sophisticated. By contrast, the IT network in an auto plant doesn't necessarily have to be comprised of the newest components to function – but with that said, the issue here is that "have to" and "should" are not interchangeable and shouldn't be thought of that way. Soon enough, a reliance on legacy IT will make a manufacturing business lag behind its competitors. 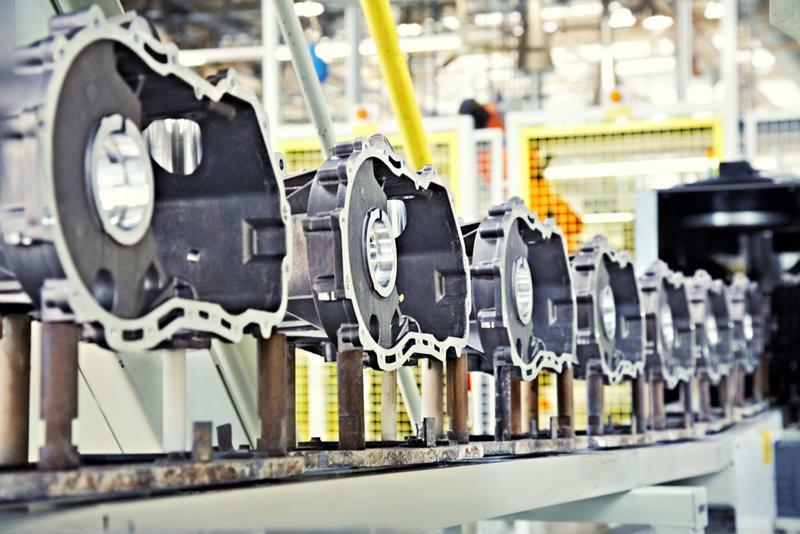 Automotive manufacturers that have yet to modernize their IT infrastructure should consider doing so sooner rather than later. In a Feb. 27 interview with The Manufacturer, Jason Chester of Infinity QS, a developer of statistical process control software for manufacturers, elaborated on this issue. "If you look at the past 20 or 30 years, large organizations used large monolithic enterprise applications to automate a lot of business processes, picking the low-hanging fruit … Businesses can't respond to this change with the traditional methods we've been using." Chester also made a point of addressing the main area of manufacturing operations in which advanced IT is least likely to be present for the sector's businesses – namely, shop-floor processes from the beginning of fabrication to the wrap-up steps that result in finished (or mostly finished) products. Machinists and their supervisors are taking paper notes on production lifecycles and the results of various quality control tests when they could be overseeing such tasks through the implementation and use of enterprise-scale process management tools, facilitated by the raw computing power that mainframe modernization can provide. Any reluctance to digitally transform shop-floor management operations can lead to less effective finished goods, which in turn puts the bottom line in jeopardy. Every manufacturing business will likely need a slightly different overhaul of its IT hardware and software, but embracing some of the hottest tech trends like the internet of things and artificial intelligence, even if just on a limited basis at first, is a reasonable place to start for just about any business. Functions such as real-time production diagnostics, supply chain management for acquiring raw materials, online product sales (a sizable and growing market share even for some of the most niche, B2B-focused manufacturers) and customer user experience oversight can all reap the considerable benefits that IT modernization has the potential to offer. 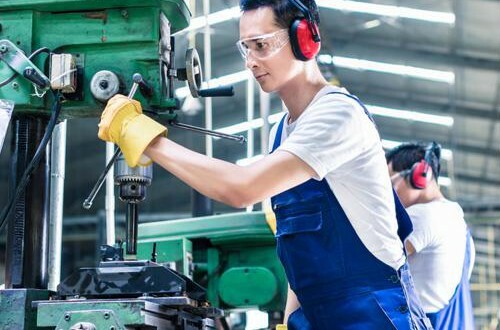 In a guest blog post for Manufacturing.net, software executive Mark Bartlett of FPX noted that no matter what specific shake-up an organization chooses to implement, the initiative must have companywide buy-in to have a viable chance at success. Manufacturers can also hire their own software developers so that these experts can create proprietary solutions suitable for overseeing the unique shop-floor environments of their individual production facilities and e-commerce landscapes. But while doing so, it's critical to keep cybersecurity risks top of mind, especially when developers choose which programming language to use as the skeleton of their new process management applications. Java, while quite popular over the course of the past decade or more, has been shown to possess no small amount of vulnerabilities that can either jeopardize the success of various system operations or even leave a door open for data breaches. One need look no further than the Equifax hack of 2017, which exposed the personal and financial information of over 100 million Americans, to see an example of this – the perpetrators found their exploit in a flaw within the credit bureau's Apache Struts architecture, and from there, they were effectively off to the races. Aftershocks of that hack continue to ripple through the industries and individuals it affected the most. Manufacturers should avoid such a fate at all costs, and that's where the benefits of Inventu's platforms come in.